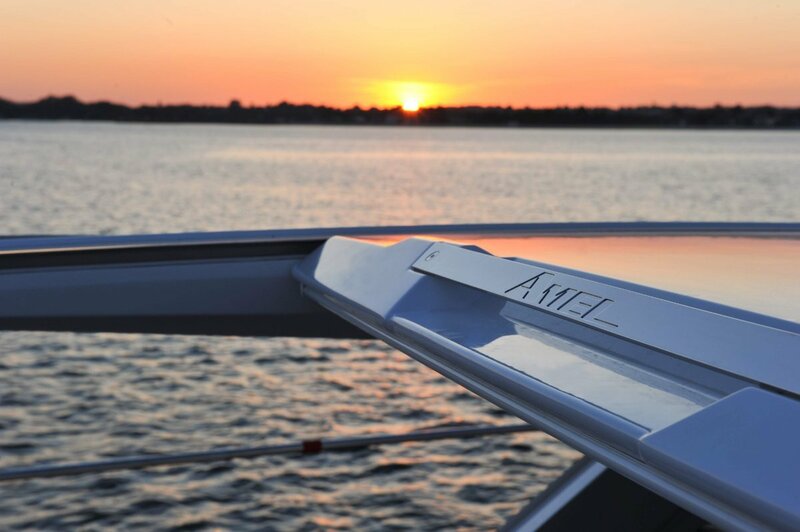 New from the famed Amel Boat yard in France comes the Amel 60 to be released in September 2019 at Cannes Boat Show. 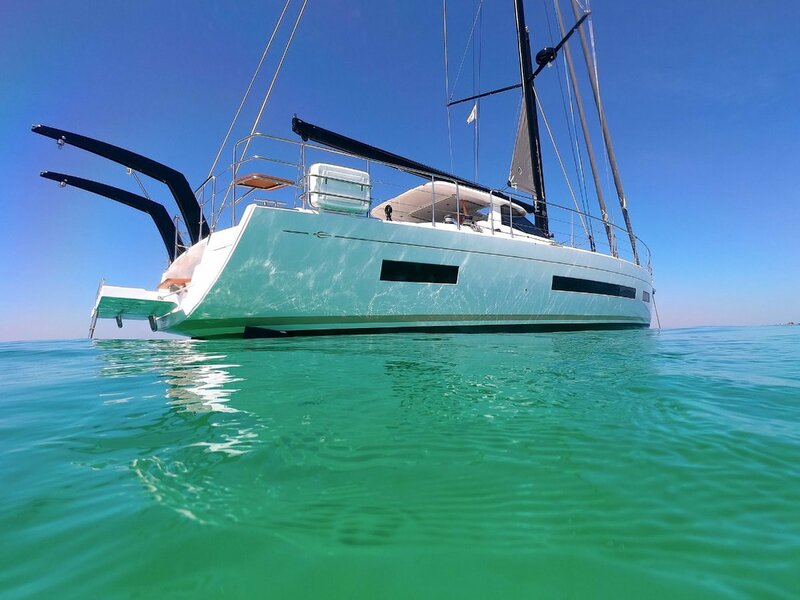 This new design 60 foot sloop encompasses the spirit and adventure from past Amel yachts with modern high-tech design for comfort, ease of sailing and performance. 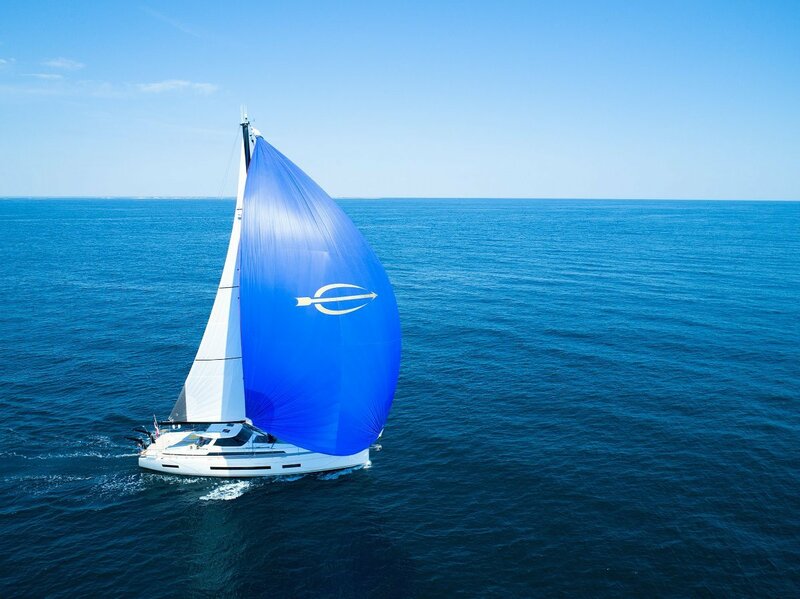 The new Amel 60 has a carbon mast with electric furling sails, all controled from the centre cockpit which is protected by a solid windscreen and hard top canopy. 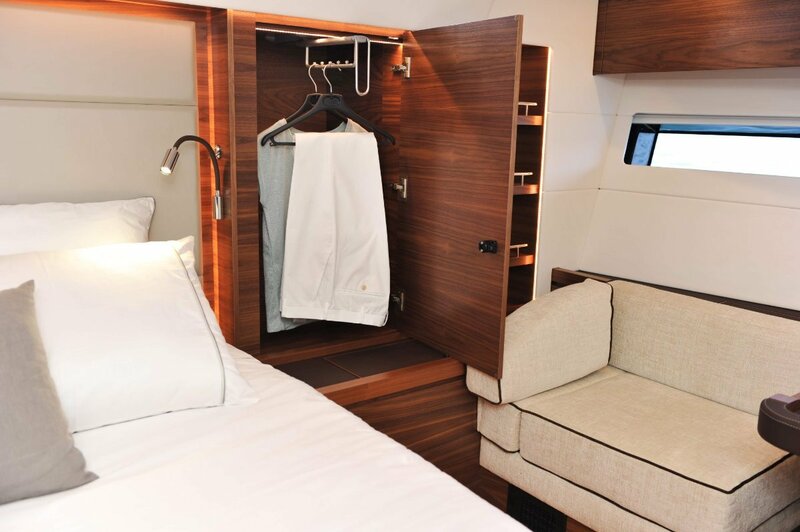 The Amel 60 has been designed with a spacious layout providing a large owners stateroom and ensuite aft, two double cabins and ensuits forwards. 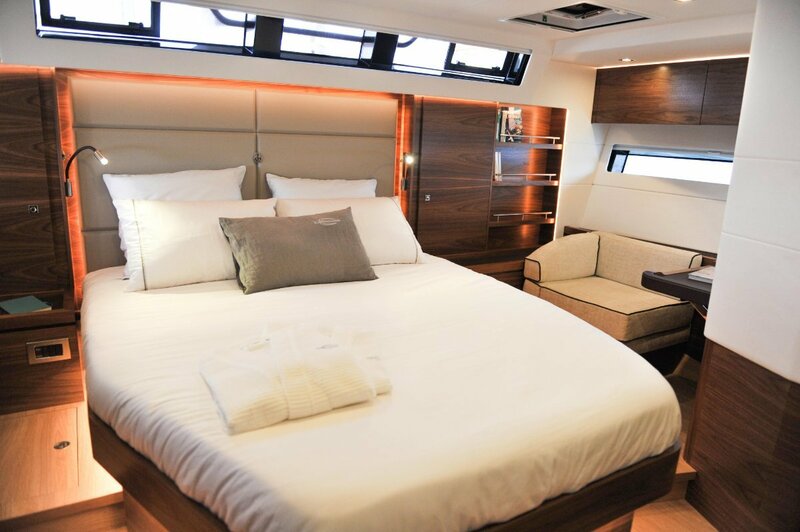 The large saloon has dining table, settee, chart-table and a well-equipped gourmet galley. 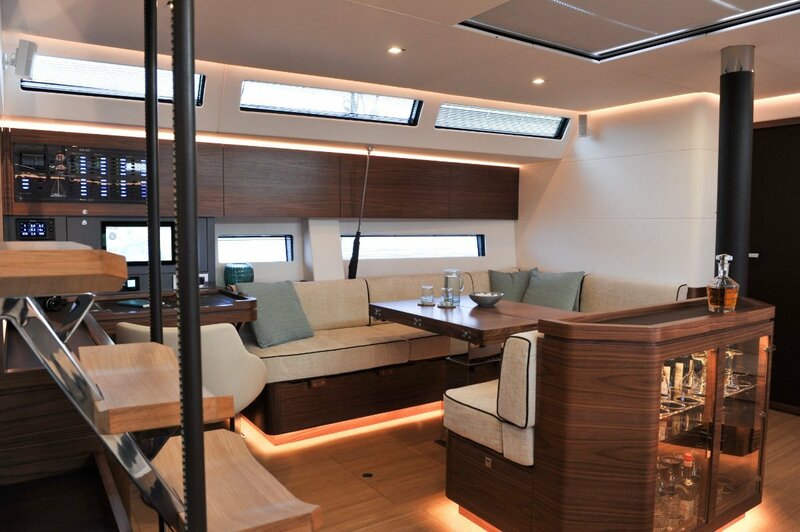 A selection of exotic timbers are availble to please every Amel 60 buyers tastes as well as many options to suit coastal cruising or a global circumnavigation. 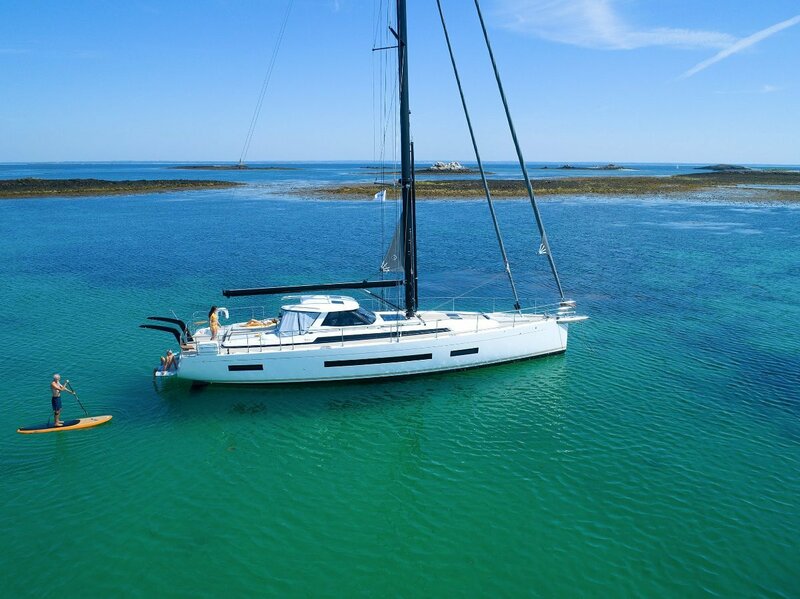 Sailing performance is assured with carbon mast, 170 sqm hydranet sails, twin rudders and Berret-Racoupeau designed hull, all easily handled by one person. 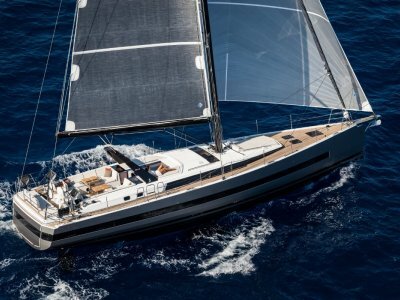 The new Amel 60 is propelled by a Volvo 160hp engine and shaft drive. 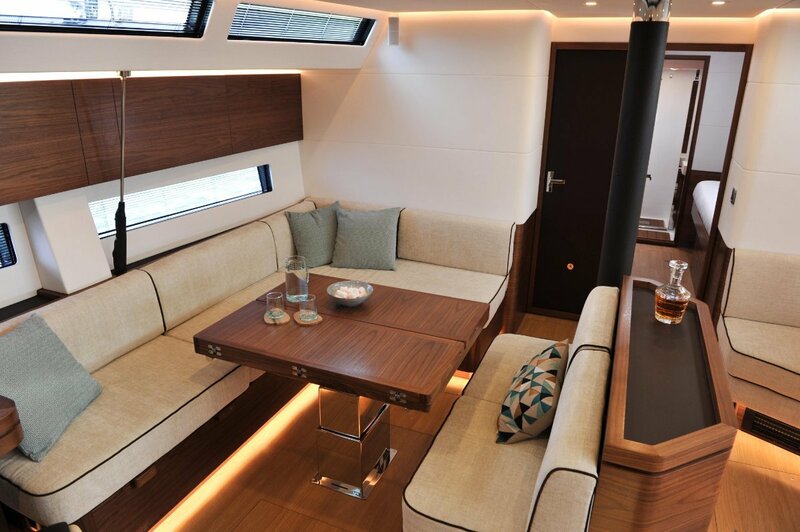 The Amel 60 has a central engine room housing all machinery providing a soundproof and watertight seal to the boats interior. 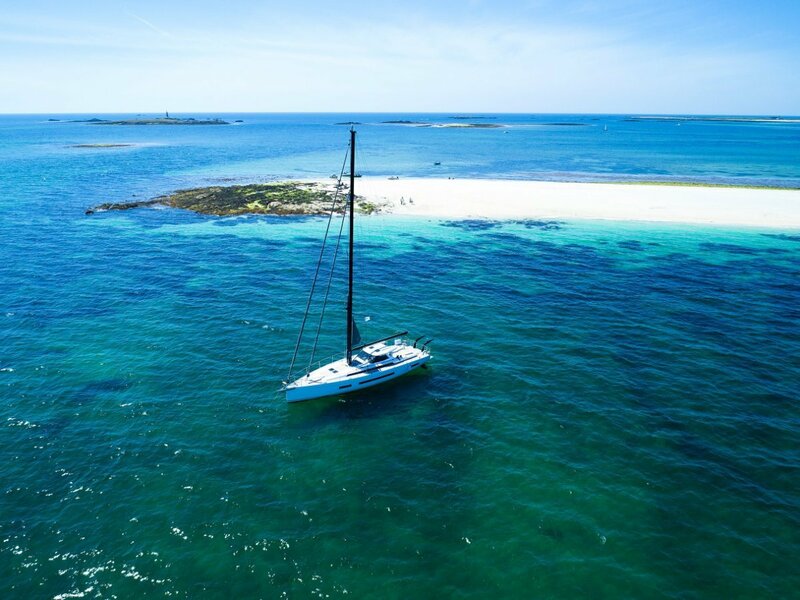 The new Amel 60 follows the recently released Amel 50 which won "European Yacht of the Year" in 2018 and is set to follow in it's footsteps as a sucessful luxury sailing yacht without boundries. 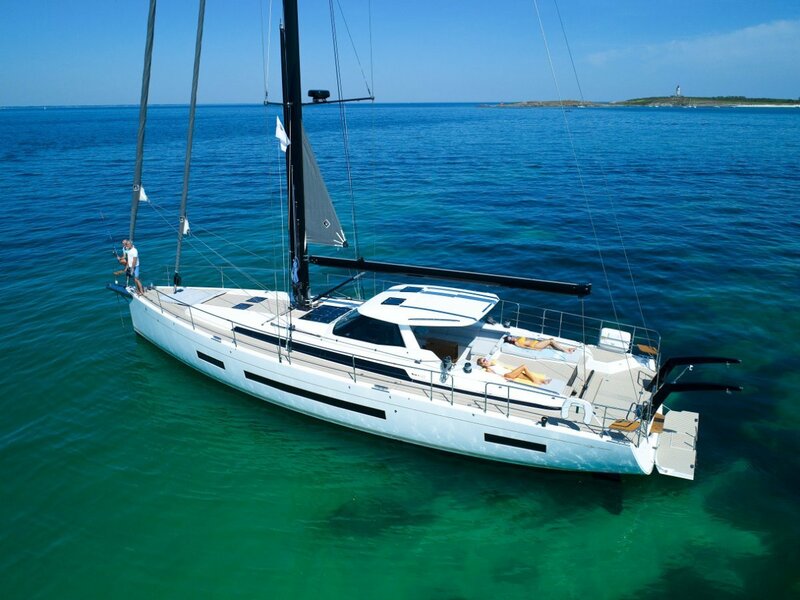 Hardtop strongly built from composite material, made for extremely safe sailing and extremely well protected life on board in all weathers. Forward and side windscreens made of glass. The central part opens as do two hatches in the roof. 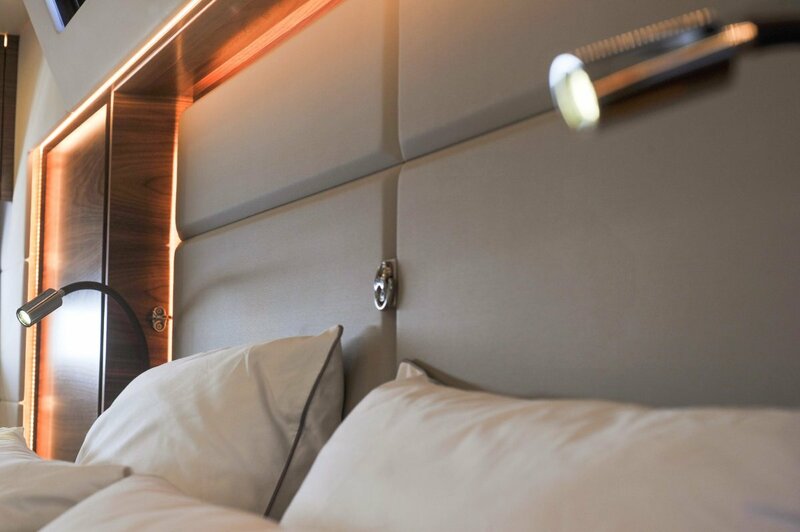 The whole unit offers an exceptional panoramic view and perfect ventilation. Rigid opening sunroof. 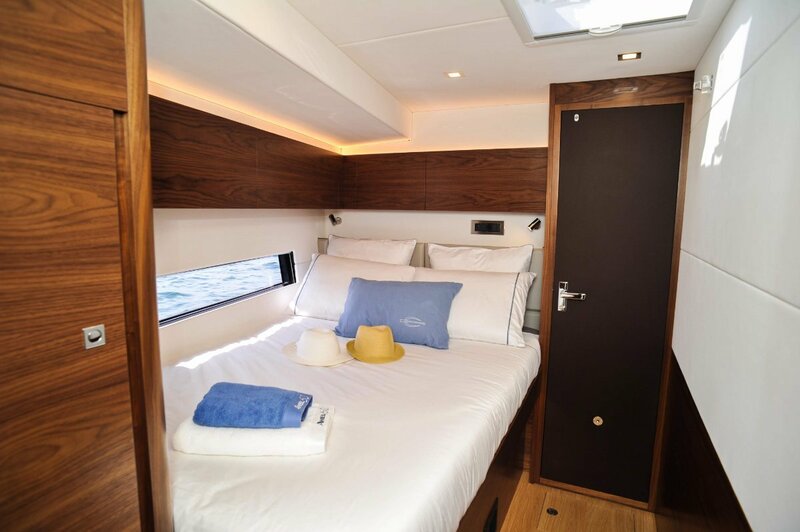 Large aft owners cabin with ensuit, two double forward cabins with individual ensuits. 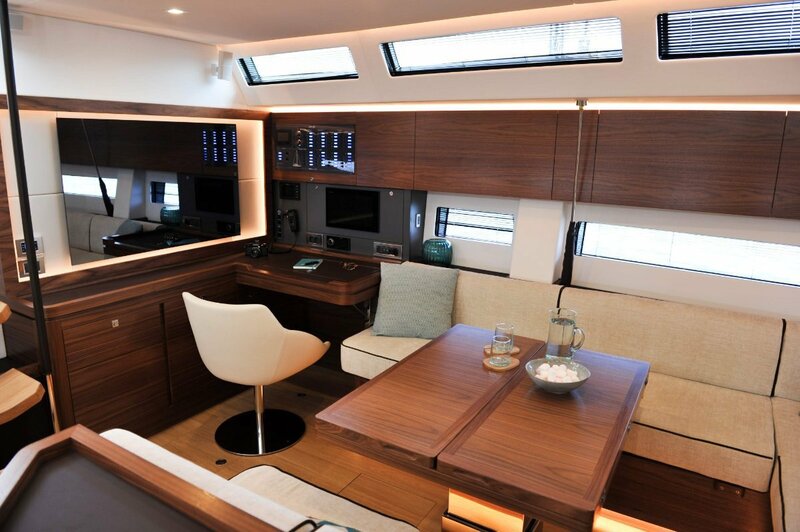 Large saloon with dining table, lounge, chart-table, and galley. 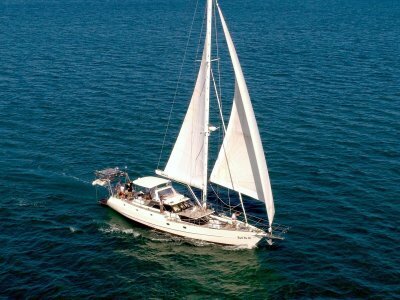 Situated to starboard, alongside the hull. 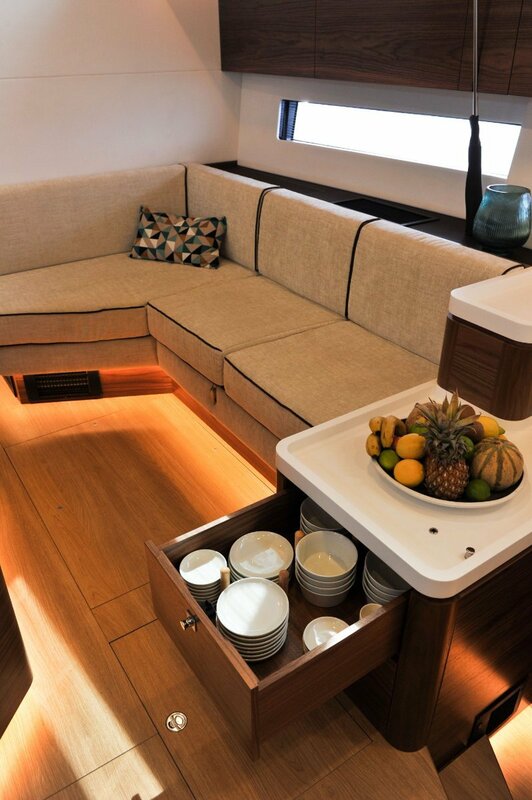 o Functional, bright and ventilated : 2 large hull portlight and 1 opening porthole. o Large working surface made of moulded Corian with surround. o Sink with mixer tap. o A combination of low units, drawers and upper cabinets. o A gimbal-mounted induction stove, with potholders. Electric windlass controlled from the cockpit. Lewmar galvanised 45 kg Delta anchor, 100 m of 10 mm galvanised chain (2nd electric windlass option). o 24 V and 230 V distribution boards with ammeter and voltmeters. o 12 V circuit for engine and generator, with 12 V / 150 A alternator and 2 starting batteries (55 Ah each). o 24 V service circuit with separate 24 V - 110 A alternator and 720 Ah battery capacity (Lithium). o 230 V circuit with shore power connector at the aft, and 230 V/24 V charger. 2 x 100 A chargers ; 2 x 3500 W inverters. o 24 V interior lighting (mostly LED). o 230 V circuit dedicated to the TV / HIFI (800 W inverter). o B&G Hydra 5000 central navigation unit: 1 GFD at navstation, 1 GFD in the cockpit, and 1 analogue display in the cockpit. 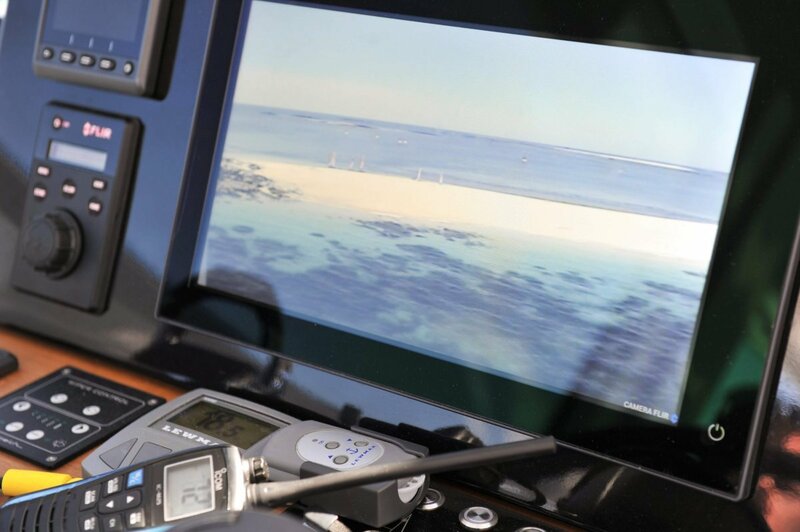 o Garmin 200 I VHF at navstation. o Furuno Navpilot 711C hydraulic autopilot. 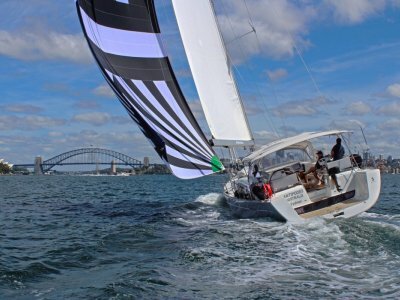 O Tri-radial cut Hydranet mainsail with UV protection. o Tri-radial Hydranet genoa with UV protection. O 3 sets of spreaders. o Adjustable rigid down-haul on the boom. o LED deck lights : 3 on the mast, and 1 on the boom end. 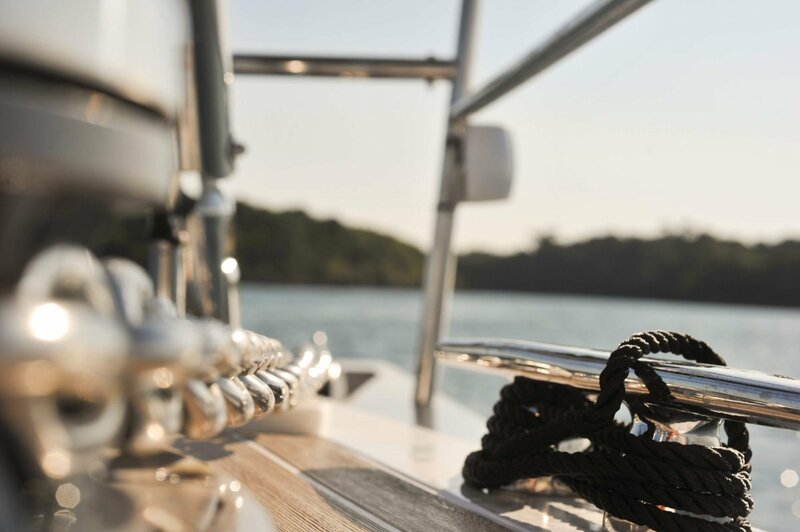 o LED mooring and masthead lights. o Dyform stainless steel standing rigging. 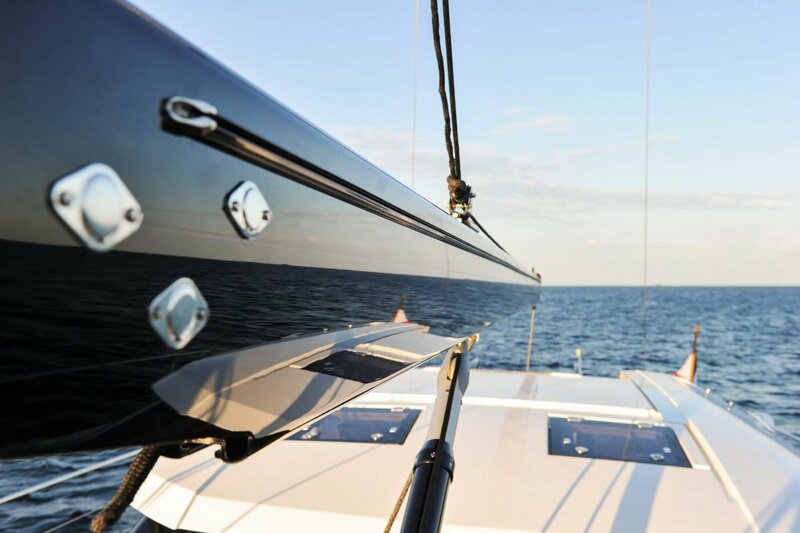 o Vectran and Dyneema halyards. 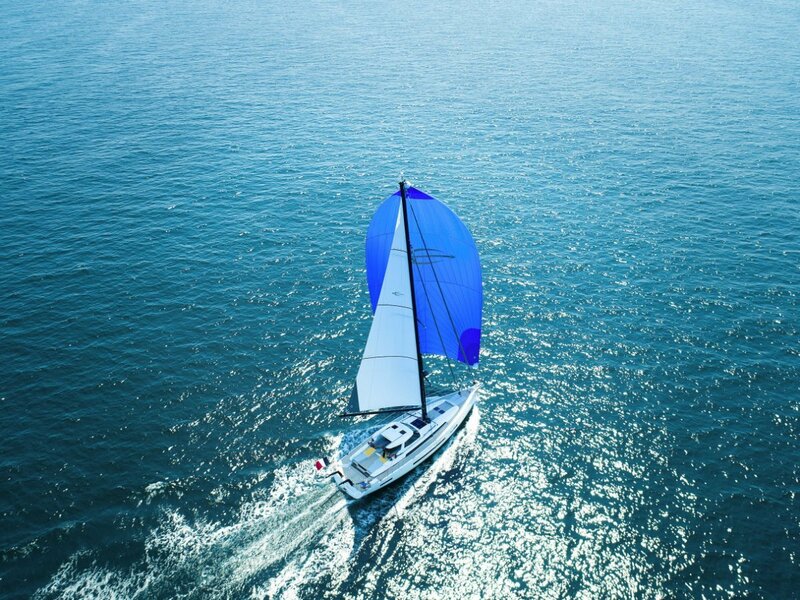 o Profurl electric genoa furling gear. o External halyard on the mast for light sails. o Additional halyard for mast ascending. 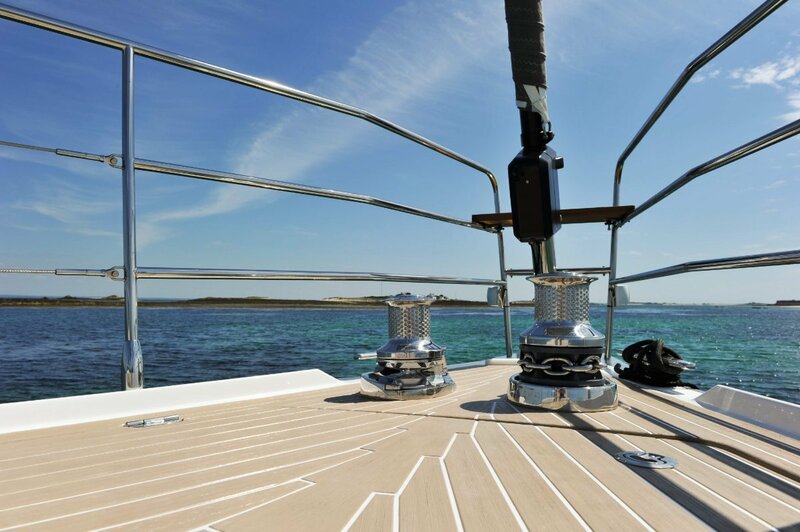 O Stainless steel bow nose with integrated anchor fairlead. o Electric windlass controlled from the cockpit. Lewmar galvanised 45 kg Delta anchor, 100 m of 10 mm galvanised chain (2nd electric windlass in option). o Stainless steel pulpit, pushpit and side rails (openings in the pushpit and side rails for easy access to quay or pontoon). Stainless steel guard line. Teak seats in pushpit and pullpit. o 8 mooring cleats in stainless steel. o Liferaft support in side rail. o Stainless steel chain plates. 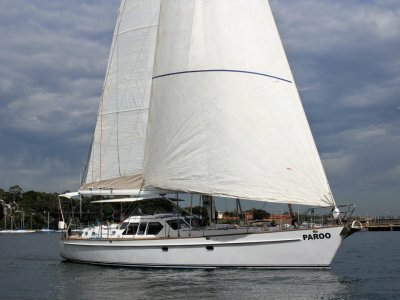 o All the controls (manual and electric) of sheets, mainsail tackle and sail furling systems are run to the cockpit. o 2 electric genoa sheet winches (black anodized Harken). o 2 manual winches for genoa sheet travelers (black anodized Harken). o 1 electric mainsail sheet winch (black anodized Harken). o 2 manual winches on the mast, 2 halyard downhauls on the mast.